The best products reviews and ratings for taking care of your swimming pool, including which pool test kits, chemicals to use, and more. The first thing to understand about salt water pool systems is that they still use chlorine to sanitize the swimming pool. With that said, I still think there is a great deal of misinformation and underestimation of the benefits of salt water pool systems. Much of this has to do with a lack of experience with proper pool chemistry. I am no expert, myself, but I have learned from others who have helped me through my many hardships and experiences maintaining a properly chlorinated pool over the past 8 years. Since I inherited a swimming pool with the house we bought 8 years ago, I have learned that a salt water chlorination system is the only way to conveniently chlorinate my swimming pool. There are other automatic chlorination systems that use traditional chlorine pucks such as the one that came with my own pool, but as I will soon explain, they are greatly flawed and may actually cause damage and harm to you or your pool; or both. Convenience the old-fashioned way comes at a price. 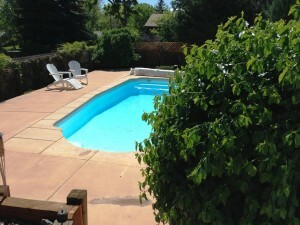 So, the question is, can you have both convenience and a successfully maintained pool? 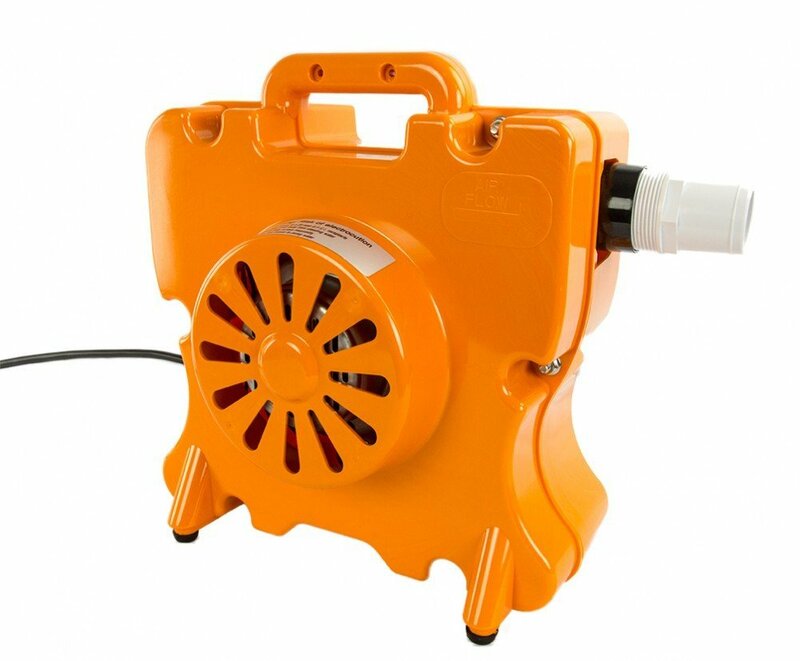 Before I get into the review on the salt water pool systems I just purchased, I would like to give a brief and unscientific explanation of how a salt chlorinator works and outline the most compelling reasons for owning one salt water pool systems over manual chlorination or automatic chlorination with tri-chlor pucks. After nearly 4 years of use, the saltwater chlorinator continues to offer trouble-free performance. ONe minor annoyance is that I keep getting a low-salt or low temperature warning even when the pool water is 87 degrees and the salt is at its recommended level of pool salt levels. One other thing that I cannot recommend highly enough is a decent Pool Salt Test. One added benefit to getting a salt water pool has been that the rest of my chemicals have been much easier to balance and manage. This summer, for example, I have not had to do a thing to adjust the PH Balance. It has remained between 7.5 and 7.8. Even with so much adding and removing of fresh water, the pool chemicals seem to balance themselves. The one thing that has been difficult for me to manage has been water hardness. It remains at low levels even after I add calcium. 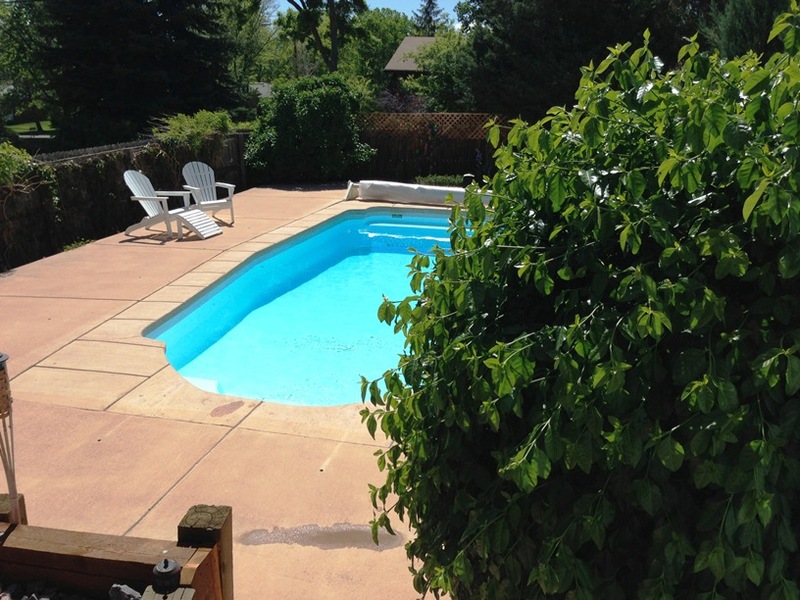 Water hardness is important for managing pool stains. 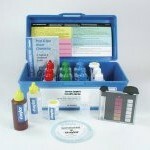 The one other thing that is vitally important is to have a decent Pool Salt Test Kit . A salt water pool essentially uses salt to generate its own chlorine and dispenses it automatically into your pool. There is a salt water cell that is installed into the pool plumbing which transforms salt water into usable, free chlorine. 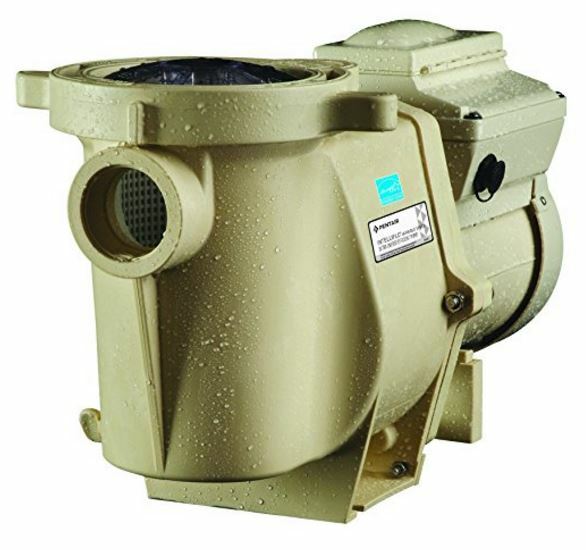 The chlorinator usually comes with a display box where the outflow of the chlorine can be adjusted. The display box also provides you with information such as the level of salt that is in your swimming pool and display codes which indicate other issues or potential problems with your system. A salt water pool, of course, needs one other thing: Salt. My 11,000 gallon pool required about 6 x 40lb bags of salt. The recommended level of salt is 3,500PPM. My pool already had a certain level of salt before the chlorinator was installed, due to the fact that I have used regular, unscented chlorine bleach to chlorinate my pool the past few years. Chlorine bleach contains sodium hypochloride which deposits small levels of salt into the pool. If you do not have a salt water chlorinator, there are some excellent reasons for using regular, unscented liquid bleach to chlorinate your pool which I will explain shortly. Unfortunately, jugs and jugs of bleach, day after day is a messy system and is not a very convenient way to chlorinate your pool. You will soon see that this was my main impetus for going with a saltwater system for my pool. This was my unscientific explanation on how a salt water pool systems work. For the scientific explanation, click here: How a Salt Water Chlorinator Works. Why use a Salt Water Pool System? Just about any pool company or pool guy/girl can tell you that the levels of salt used to chlorinate your pool are better for your skin. It feels sort of like you are swimming in a saline solution rather than a harshly chlorinated pool. I can attest to this fact, first hand. My skin used to get so dry after I was out of the pool for a while. Even with chlorine and other chemical levels the same, the salt water pool feels better and softer on the skin. This is a fact. 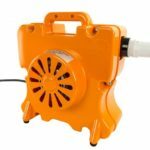 It is also important to note, that since you are not putting large amounts of chlorine into the pool at one time, that the chlorine is more evenly and consistently dispersed throughout the day as your pool pump is running. This means you are not going to ever be exposed to higher levels of chlorine at different times of the day. This, of course is better for your skin, hair and your body. One huge thing that gets overlooked even by some of the pool gurus is the chemical relationship between Stabilizer (CYA) and Free Chlorine. Even many pool professions do not realize that the higher more stabilizer in the pool means higher chlorine levels are needed to properly sanitize it. An ideal level of stabilizer is between 30 and 50PPM. So, here is why I used regular, non-scented chlorine bleach to chlorinate my pool all these years: It doesn’t raise my stabilizer! Why get a pool solar blanket? Because you owe it to yourself to enjoy your swimming pool this spring, summer and fall without having to feel guilty about the energy your pool heater is using in order to keep your water a comfortable temperature. Solar Pool Covers have been around a long time. They come in different shapes, sizes and thicknesses (mil). Depending on your pool-size,needs and budget, expect to pay around $90-$200 for a decent Pool Solar Blanket. So, what is the best you can buy? Which Type of Solar Blanket Works Best? If you are searching for the perfect Solar Pool Cover, I’ve got news for you: such a thing probably does not exist. Based on the many sizes, thicknesses and styles I’ve researched, they all have their strengths and weaknesses. For example, a really thick Solar Cover (16-mil) does do a superior job of keeping in the heat when your pool is covered at night, but many people have reported that it does not heat the pool up as quickly during the daylight hours. Also, some pool owners complain that the extra thick solar blankets are heavy, harder to work with, and put a strain on their reel. Opinions seem to vary among swimming pool owners as to whether or not durability and thickness of a heavier solar covers is worth the extra cost. One problem that all the blankets seem to have in common regardless of their size and weight: The little plastic heating bubbles begin to break apart after the 2nd year and leave a mess of plastic disks in your pool and on your deck. According to many experienced swimming pool owners, having a cover for your solar swimming pool blanket will increase its lifespan another 1-2 years before the bubbles start breaking apart. Personally, I don’t see how much good a cover can do. My last one was kept inside a storage room all winter long and it still only gave me about 18 months of use before it completely lost all of its bubbles. Those plastic solar bubbles are going to be most vulnerable when exposed to the sun. Obviously, the blanket does you no good if you’re covering it while it’s supposed to be heating up your pool. During the few hours per day that you are swimming, the blanket is rolled up and most of it is protected from the sun. Of course at night, when you’ve covered the pool, the cover is completely safe from the sun’s damage. So, yeah, if you aren’t going to fold it up and store it in a shed during the winter, you should definitely keep it covered. Otherwise, you may get even less than the 18-months of use I got from my last solar blanket. My last one, by the way, was an 8-mil blue cover. My next solar blanket will be the 12-mil blue. Which Solar Cover is Best? So, we’ve determined that the large 16-mil are expensive, heavy, cumbersome and just as prone to having their heating bubbles burst after 1-2 years. From my own experience, the 8-mil solar blankets are not only prone to having their bubbles burst, but shred like paper after a year-and-a-half. Many people have complained that the clear solar blankets do not do as good a job at heating the pool. Few, if any swimming pool owners have said that they preferred the clear plastic solar covers over the clear-blue blankets. By and large, pool owners seem to be most satisfied with the 12-mil, clear-blue solar blankets. 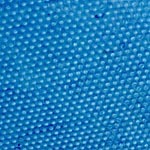 I will be purchasing a clear-blue, 12-mil solar pool blanket this spring for my 14 by 30 foot in-ground pool. I know exactly where to find one!